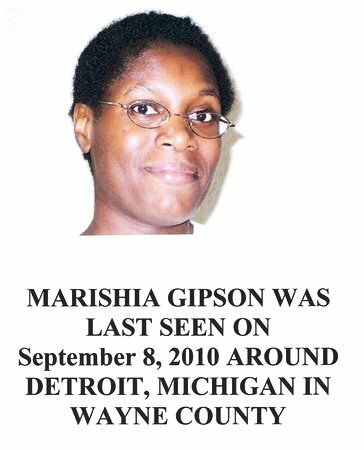 Marishia Gibson, sister of a Warrendale resident, has been missing since Wednesday, September 8. If you have any information about her whereabouts, please contact the Detroit Police Department at (313) 596-5740. According to her sister, Ms. Gibson was last seen at the bus stop at W. Warren Ave. and Brace. According to her family, Ms. Gibson has been located. She is in good condition at a local hospital, receiving the care that she needs.